Both New Zealand and international audiences place a high value on Kiwi ingenuity, so the qualities that dyslexic individuals have to offer can provide great competitive advantage. As the creative and ICT-led economies continue to demand fresh thinking, many employers around the world are now seeking out employees with the unique attributes that dyslexia can provide. While many people are aware of the challenges that dyslexia can bring in basic skills like reading, writing, and spelling there is often less awareness about the strengths embodied in this learning difference, or preference. This concept of preference is fundamentally important, as it recognises that dyslexic individuals think differently, so naturally prefer to receive, process and present information in ways that make more sense to them. As dyslexics tend to think in pictures rather than words – receiving and retrieving information in a different part of the brain to neurotypical, word-based thinkers – they often prefer to receive and present orally or visually rather than via the written word. 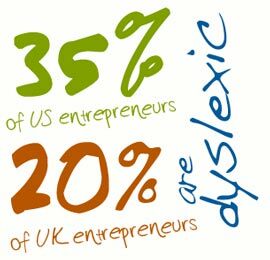 UK research shows that 35% of US entrepreneurs and 20% of UK entrepreneurs are dyslexic – with Sir Richard Branson a famous example. Internationally, leading edge research is focused on the contributions dyslexics can make to workplace and economy. US researcher Tom West is a pioneer in this field. His area of interest is the special talents of dyslexics. 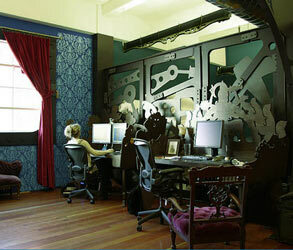 He believes that creative dyslexic individuals may be able to act as “engines for economic development”. He also predicts that computer visualization technology will radically change the way we all work and think. For thousands of years, writing and reading has tended to promote the dominance of the left hemisphere of the brain, with its linear processing of words and numbers. Graphical computer technologies now permit a return to our visual roots with a new balance between the hemispheres and their respective ways of thinking – presenting new opportunities for problem solving and big-picture thinking. Yale scientist Dr Sally Shaywitz, also has some fascinating insights into higher level thinking, noting that dyslexics are often conceptualizers who manifest “out-of-the-box thinking” and provide new insights. At the Dyslexia Foundation, we are very excited about the creative edge that dyslexia can offer, and have developed a number of resources based on 4D thinking – overlaying the common perception of three dimensions with the fourth dimension of creative edge. These initiatives, including this 4D Workplace webspace, embrace a new thinking paradigm that views dyslexia from an asset rather than deficit perspective. You can find out more about this here.